My friend asked me the other day if I knew which public figures with whom the King shared a birthday – it’s a fun game to see who you share company with. Well, fun and often terrifying. Her daughter shares a birthday with Rosa Parks, which is pretty cool as the woman made history for her sheer gumption and fortitude. If sharing a birthday with Rosa is any indication of how her daughter will turn out, she can rest easy. So like any curious parent I went in search of who shares the King’s birthday with eager anticipation, thinking to myself, he’s the King, the kid is bursting with personality and intelligence, not to mention a sheer love of cheese, trucks and Duplo – pretty much in that order. I mean, it had to be someone uniquely amazing, like Einstein or…Buzz Lightyear. So I began perusing the list of people and saw that like most he shares the day with quite a motley crew: a few composers, a Russian General (god that explains a lot), a cartoonist, a few more composers, actors, a poet, a high diver, a few musicians…a few more composers…and YET, a few more composers…which of course started to make little beads on my forehead begin to break out. Let’s be honest, I’m not sure I can handle one more person in my family in the creative arts trying to navigate their internal artistic angst and make a living off their art. Those trenches will potentially drive you mad, I assure you. I mean come on, where are the doctors, the lawyers, the astronauts, the CEO’s of Google! Then it got shockingly worse in three little names. Three terrifying names that would fill any mother with fear. 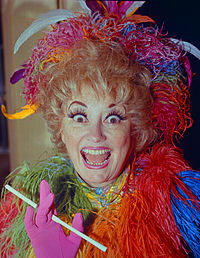 Phyllis Diller. Camilla Parker Bowles and David Hasselhoff. OH COME on, seriously? Okay, I take it back, Phyllis Diller was funny and full of verve in her day, and I actually appreciate that she knew how to get her freak on. But Hasselhoff? He waxed his chest and ran down a beach with a life preserver to bad eighties music, by choice. How can my son share a birthday with that? Not to mention actively choosing to wear head to toe leather whilst singing (he's all the rage in Germany apparently) on top of a talking car. [Although saying that, the King would absolutely wet himself watching someone sing on top of a talking car. Talk about combining loves]. And Camilla? What’s her claim to fame, riding a horse while stealing another woman’s husband? This does not bode well. I of course reminded myself that maybe I was focusing too much on who the King shares his day with when I should focus on the month itself. I mean, four of my favorite people in the world share his birthday month. That has to mean something good, no? Or perhaps this is yet another sign that I need to wash down a valium, take a parental time out and remind myself that in a matter of years, someone is going to sit back and realize that they share a birthday with the King…the greatest cheese eating, car driving (hopefully in F1) Duplo building master of the universe. And that right there is going to make their day.